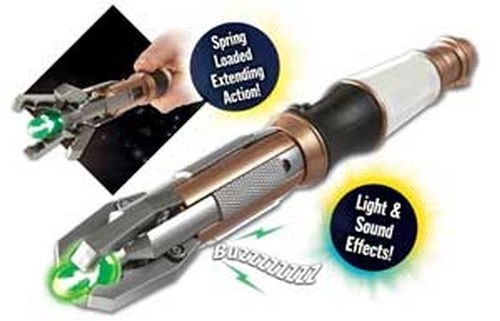 This new sonic is larger, with a luminous green light but continues to be an essential part of the Doctor's equipment as he explores the universe. 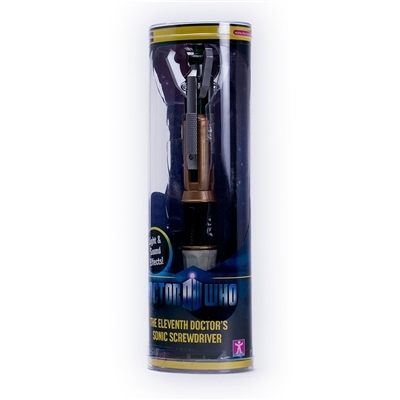 This faithful copy of the Doctor's trusty Sonic Device has spring loaded extending action. Pressing the button on the side of the handle activates the LED and Sound FX which operates in closed mode. Flip open the cap at the end of the Screwdriver to reveal an additional button that activates the light and sound effects when it is in full extension open mode.